United Nations Resident Coordinator, Bishow Parajuli has applauded various stakeholders including government and non-governmental organisations for successfully integrating the Sustainable Development Goals (SDGs) into their local development projects. Speaking at the end of a three day to Bulawayo and Matebeleland provinces, Parajuli hailed the UN contribution to local development projects including health, education and social protection among others saying there is need to intensify joint efforts to address the remaining challenges. “We are equally leaned on the need to intensify joint efforts including the engagement pf private sector to address remaining challenges of providing pupils with adequate school facilities and to scale up ongoing development programmes to support the rural communities achieve their local development plans in the shortest time possible,” said Parajuli. UN supported the construction of a pharmacy in Bulawayo’s Tshabalala area while embarking on a human rights outreach in Ntabazinduna. 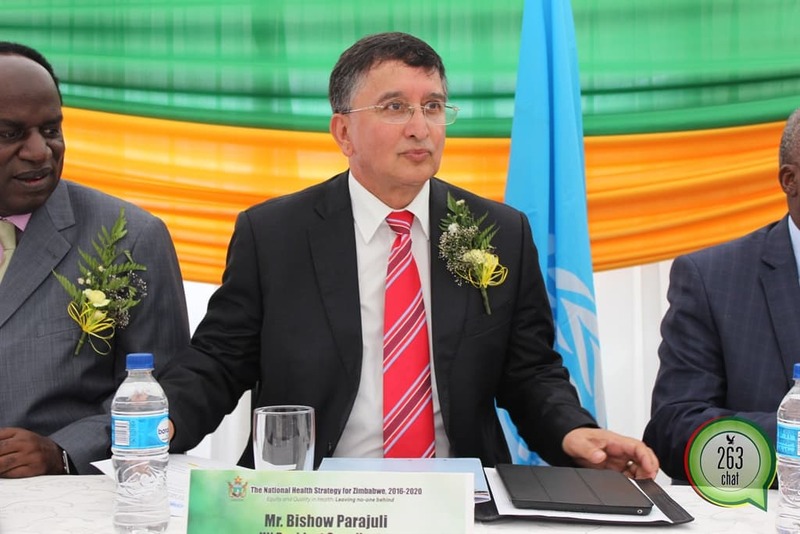 The UN visited United Bulawayo Hospital (UBH) where through the Global Fund, UNDP supported the construction and provision of fittings for 350 m2 pharmacy cold chain facilities in Tshabalala Clinic and an incinerator at the NatPharm warehouse. HIV prevalence in Zimbabwe has decreased by 24% over the last decade and is on course to achieve the global 90:90:90 targets by 2030. Currently 74% of people living with HIV know their status, 87% of those who know their status receive treatment and 87% of those on treatment have their viral load suppressed.